If you are a typical parent with college bound students, you’re probably overwhelmed by the cost of a college education. And you’re probably equally overwhelmed by all the research necessary to help your sons and daughters make the right choices and prevent overpaying for their education. Get the facts. Educate yourself to potentially save tens of thousands of dollars on a single college education. Parents of more than one child heading to college in the next few years can save even more. Here at College Cash Pro we are dedicated to helping families pay less for college and save their retirement through innovative financial and tax strategies. 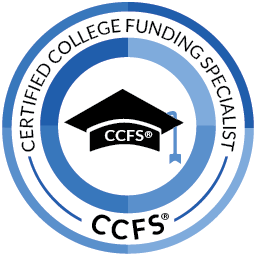 Our college funding planners work with families to help you plan for and navigate the “paying for college” process. We teach you how to minimize your out-of-pocket expenses, maximize financial aid eligibility, understand the best way to navigate through the college selection process and prioritize your sources of college funds to protect your life and retirement savings! We'll help your student find the Right School for the Right Reason at the Right Price! How to send your child to the school of his or her dreams without getting trapped in a financial nightmare. Where to find the hidden scholarships and grants other parents will never hear about. The single biggest mistake 9 out of 10 parents make when applying for scholarships that literally costs them thousands of dollars, and how to avoid it. The shocking truth about college savings plans and how they can cost you money. It’s FAFSA time again so is your checklist ready? Starting October 1st, 2018, new seniors in high school can file their FAFSA forms for the 2019-2020 college year using their 2017 IRS 1040 data. Steve Stanganelli, CFP®, CRPC®, AEP® is the principal of our firm. As a CERTIFIED FINANCIAL PLANNER ™ Professional and experienced college financial planner, Steve has been providing straight answers and sound financial, tax and college funding advice for more than 20 years to individuals, families and business owners throughout the Boston, North Shore and Merrimack Valley areas of Massachusetts and New Hampshire Seacoast.